Hotel room – booked. Theme park tickets – bought. Bathing suits – packed. You’ve planned for it all…except someone getting sick on vacation. In the past, you’d have to put your plans on hold and frantically search for an urgent care center or ER in an unfamiliar area. By the time you got discharged and picked up your prescriptions, you wouldn’t have any time left for all the fun had you planned. Luckily for you, that’s no longer the case! With MDLIVE, you can talk to a board-certified doctor 24/7 via phone or video, wherever you are. And if your doctor determines you need a prescription, it can be sent electronically to your closest pharmacy. It’s a more convenient and inexpensive way to get the treatment you need when you need it, so you can get back to your amazing travel plans. If you haven’t already, make sure you sign up for MDLIVE and complete your medical history for yourself and each of your family members. 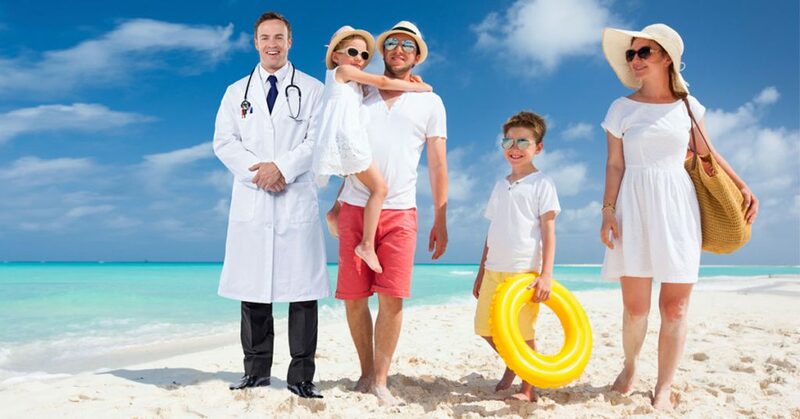 Do it before you leave on vacation so you’re prepared if someone gets sick on vacation. It’s like having a doctor that goes everywhere that you do!